Annihilator‘s 7th album announced the return of former frontman Randy Rampage and Annihilator found their voice again, releasing their strongest set of tunes since Alice In Hell and Never, Neverland caught the world’s attention a decade prior. Why Randy Rampage and Jeff Waters decided to wait until the tail end of the 90’s to have another crack at it is anyones guess but the quality of the material on display hinted at a productive partnership that deserved a second chance to shine. 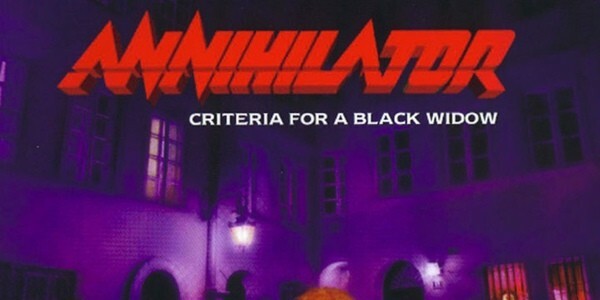 One of the few bands to remain staunchly active during the 90’s, Annihilator were never really away but Criteria Of A Black Widow was a real return to form and “Back To The Palace“, “Nothing Left” and “Bloodbath” proved once and for all that an on-fire Jeff Waters and an on-fire Randy Rampage were a formidable partnership made in Thrash heaven!